Catch DEADMANSWAKE Live in Milwaukee! This Sunday, November 28th, DEADMANSWAKE will be part of a huge show at The Rave in Milwaukee, WI. DMW, along with other local rock bands, will help build up the intensity for a great night of heavy metal mayhem, headlined by Epica! Other bands on the bill include: Scar Symmetry, Blackguard, and The Agonist. The New Czars may be a new band, but they could be considered a supergroup in a sense. The members of this 3-piece band are actually veteran producers & songwriters who have produced music for an impressive variety of big-time artists: from the likes of Alice Cooper, Bruce Dickinson, & Puddle of Mudd, to Pink and Lita Ford. With some other material they had composed independently, they decided to try their hand at being rock stars instead of just working for them. After whittling down their numerous compositions from more than 30 to 16, and reworking some tracks to incorporate more vocals, they ended up with Doomsday Revolution, an impressive debut hard-rock album. 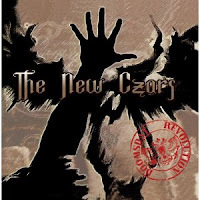 The New Czars incorporate an ecclectic range of inspiration into a well-refined, almost methodical hard rock sound. Singer/guitarist Greg Hampton has a bit of a throw-back vocal style. On some tracks he sounds like he'd fit right in with some of the most popular late 80's pop-metal bands, while on others he brings a melodic post-grunge vibe. In every instance, though, they deliver the music so cohesively, you'd think they've been playing together for years. 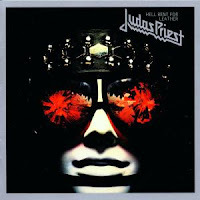 Post #116 Poll Winner: Favorite Judas Priest album from the 70's. In the late 70's one of the most important movements in heavy metal developed: the New Wave of British Heavy Metal. One band that was quite instrumental in the development of this style of metal was Judas Priest. Starting as a heavy, blues-based rock band, in much the same was as Black Sabbath did, they took the style to a more technically advanced level. With the combined talents of Glen Tipton & KK Downing trading guitar solos, along with Rob Halford's amazing vocal range, the heavy metal genre was given a new path down which to grow & develop. Over the course of a few years, multiple British bands took inspiration from Priest's sound and helped further expand this movement within heavy metal. 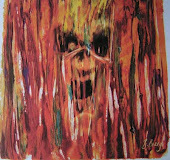 Hell Bent For Leather (titled Killing Machine in the UK), was released in 1979, and is now viewed as Priest's crowning achievement from that inspiring decade. By this time, Judas Priest had developed a versatile formula, composing songs that were often heavy and fast paced, but also featured some tunes that were more melodic or anthemic. These were elements they would perfect further in the coming 80's. In appreciation of the unprecedented and overwhelming response to the recent reader's poll, I would like to thank all of the bands who allowed me to feature them and their myspace.com web page in this poll: Smash Corps, Third Law of Motion, Killcode, Skank, Sutured Psyche, Inn Cinema, and the winner: Deadmanswake! Over the course of this blog, I've been keeping track of the reader's polls each month. Prior to this year's 2nd annual independent/myspace bands poll, the record for reader response in a poll was 56 votes. This poll has shattered that record with an amazing 1156 votes! Same as last year, the winner will have a full-length review coming soon. However, as further thanks for all the votes & new readers brought to this blog by the poll-winner, they will soon be featured in a link on this blog for 1 year as 'Honorary Vice President'. I will also try to keep up with their scheduled shows, and mention them ahead of time here in the blog. So keep an eye out for great local shows! Not to be overlooked, the rest of the poll contestants are likely to be reviewed at a later date. Several of them helped to make this the most competitive reader's poll yet, and a few of them had even held the lead before Deadmanswake pulled ahead at the end. Again, thanks to all who participated, voted, & rocked out to great new music! I hope you continue to support independent music & local bands!